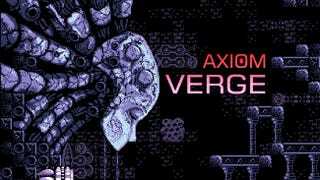 The Axiom Verge developers have posted an update for the status of the PS Vita version of the game. They say it’s coming shortly, but there are still a few known issues/bugs, they have to deal with before launching. ... and a list of known issues, they are working on until the release of the game. While lots of these sound critical and time consuming, the developers state, that they are just a question of going down a list and implementing. Most features might be fixed parallelly and in the original version of the post, the list was even a third longer, which shows how fast most issues can be dealt with. Besides the cross-save functionality, that is still to be implemented, Axiom Verge will also feature cross buy. So if you already own the PS4 version, you’ll get the PS Vita version for free, when it releases. Or if you buy the PS Vita version, like me, you will also be able to download the PS4 version for free. Go to the Axiom Verge blog to read the post.